[Jakarta, LTTW]“…They all hated school but they loved art, so I went through art to make them love knowledge…” That was what Tim Rollins told Artspace when they asked him about his students. 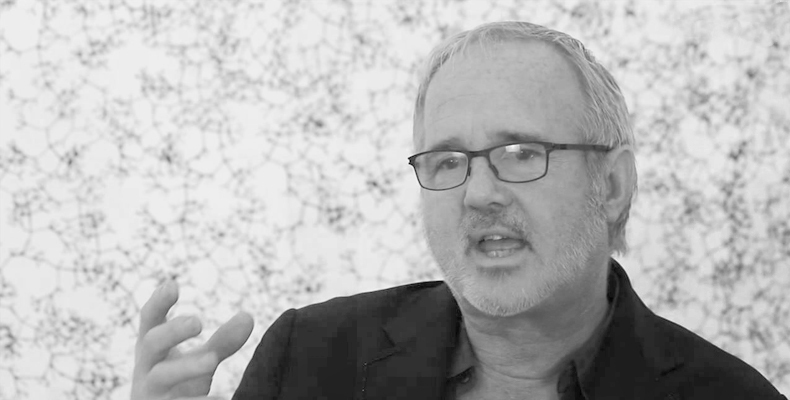 Tim Rollins, the New York artist, activist, and educator – known for his collaborative works with underprivileged and special needs children – died recently. According to Lehman Maupin Gallery, he passed away on December 26, 2017 at the age 62 in New York of natural causes. 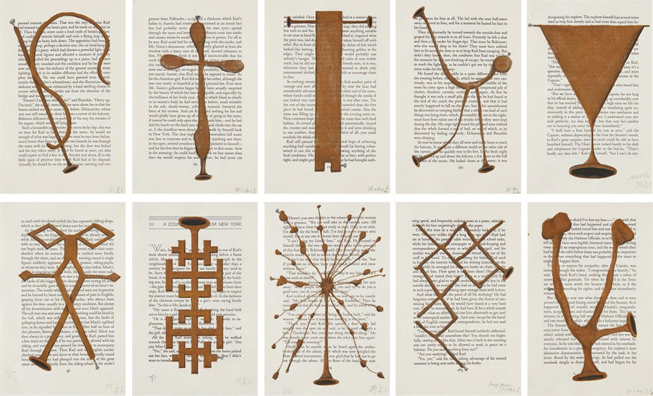 Tim Rollins was born in 1955 in Pittsfield, Maine, where he was raised in a working-class family. His experience in a relatively poor household helped him relate to “the struggles of the kids’ families,” he told The New York Times in 1988. Rollins studied art at the University of Maine and earned a BFA from the School of Visual Arts in New York. In 1979, he co-founded the activist art collective Group Material. In 1980s, he was teaching art to special education students in the South Bronx. It was there that he launched Art and Knowledge Workshop, an after-school program for his most dedicated students, who would go on to become the founding members of K.O.S (Kids of Survival), a fluid group of young at-risk students. One of Tim Rollins and K.O.S’ works, Amerika IX, 1987. MINT MUSEUM OF ART, CHARLOTTE, NORTH CAROLINA. Rollins didn’t just use art as a vehicle of self-expression, but also as an educational method by utilizing literature, music, and visual art. He encouraged K.O.S to undergo trial and error as a learning process – a lesson he learned when he studied under John Cage, one of the legendary 20th century composers. Hugely inspired by Arte Povera, he encouraged K.O.S to utilize humble materials to create art. Also inspired by the Baptish Church, he used “call and response” method in their art-making process; where the “call” is inspirational text often derived from passages of archival books (such as Orwell’s Animal Farm, Kafka’s Amerika, and R. Ellison’s Invisible Man) or music score pages of classics like Schubert’s Winterreise – and the “response” is what ends up on the canvas or directly onto those printed pages or sheet music. From Listen to the World’s perspective, Rollins’ vast array of methods taught the students about creativity, hardship, interpretation, theorizing the imagination, teamwork, and self-reliance. ”We’ll miss it [Rollins and his leadership], but you got to lead your own life someday,” said George Garces, a (former) member of K.O.S in The New York Times’ 1988 interview; an attestation of how much Rollins contribute to the lives of his students. Upon Rollins’ death, K.O.S stated that they plan on continuing their mentor’s visionary works. Salute to Tim Rollins – not forgetting to mention Kool Herc, El Sistema, and other minorities – who see art as the main frontier of ethics to strive towards “positive” future for generation to come. It’s only right to close this writing with Rollins’ 1981 famous program’s announcement, “Today we’re going to make art, but we’re also going to make history.” Indeed! Hope we can carry on with his spirit and passion in arts and education. He has left a legacy in the world, now we, as a part of today’s young generation, have the responsibility to continue his legacy. Another thing that needs to be well-pondered is that this form of collaboration gives mutual enrichment to both Rollins and the students (K.O.S). Fascinating! Rest in Peace, Tim Rollins.